Having a large family can be challenging. Because of the many comings and goings, some things just have to give. My last five children were born in eight years, so these children are very close in age. In my younger years, with one or two children, I would take them swimming, almost every day. But with 5, 6, 7, and finally 8 children, going to the pool actually became a dangerous activity. I had to be on guard constantly; I was always counting heads, and it was very stressful for me–so the trips to the pool became much less frequent. Though swim lessons help, we all know that children learn to swim best–simply by being in the water…..a lot. Needless to say, my two youngest were not very confident in the water. We unloaded the car, found swimsuits, and headed out to the pool. My husband and brother had gone out to the garage to talk motorcycles. My nieces and some neighbors were already swimming, so I sat down on a lawn chair at the edge of the pool. It was a beautiful day. Kids were jumping off the rocks into the pool, running back and forth from the pool to the hot tub, diving after toys, splashing and having fun. My main focus was my baby, who was 2 at the time. Ammon had just turned 5. I was trying to keep an eye on all the kids while catching up with my nieces when my attention was drawn to the deep end of the pool. The scene made my heart stop! There was my Ammon, face up, under water, not moving. I quickly handed my baby to my older daughter, and jumped in. I yelled to someone to call 911. I dragged this lifeless boy to the edge of the pool, and handed him to my nieces, who pulled him out, and laid him down. I must have been in shock because I jumped out of the water, knelt over this boy, and froze. All my CPR training was out the window. My 15 year-old daughter said nothing, but intuitively started chest compressions. Seeing her acting as the adult snapped me back to myself–my duty–my stewardship; so I moved her hands, and took over the chest compressions. The tears began to flow, and I gathered enough strength to cry out my son’s name. I called to him, but no answer. I held his precious face, as tears fell upon it, and begged him to come back. More chest compressions. And finally after what seemed like forever, he took a breath on his own. His eyes slowly opened, and I scooped him up. I took him to a chair, wrapped him in a big towel, and never wanted to let him go. Just then, the paramedics arrived. After checking Ammon, we were told that we were lucky. They often arrive on scenes, where a child has fallen into a pool, and has brain damage or is dead. I don’t like the word lucky. I feel very strongly that Ammon was protected that day. 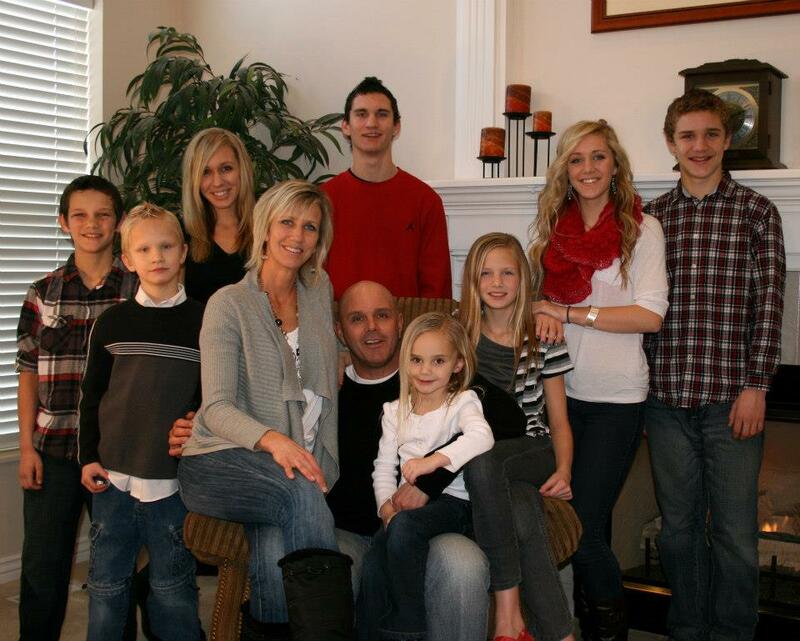 I believe there were angels present, and that God had more for Ammon to do. I believe that there were lessons that day for me, and all who were present. I believe in miracles….I see them every day. I have chosen to come away from this experience–changed. I don’t think that I could appreciate Ammon the way that I do if I hadn’t come so close to losing him. You see, you NEVER know…..do you….how long we have with our loved ones. I’ve always enjoyed writing. I used to write in my journal every day at one point in my life. But lately….ok, to be honest…the last 10 years have been sporadic at best when it comes to writing. I’ve missed it. So, never having been a blogger, and not knowing too much about computers, I feel somewhat inadequate when it comes to how cute my page looks or adding cool features. But that’s ok. For now, it’s just therapeutic for me to write. So that’s what your gonna get! Ammon is the inspiration for this blog. I have numerous stories that make me laugh, make me cry, make me want to hug him, and just plain make me want to be a better mother! He IS an amazing son, period. A little background about ME. From my youngest memories, I always loved babies! At the age of 3, I used to drag my newborn sister around the house. One day, my mother panicked when she went to the bassinet to get my baby sister, and there was no baby there. She ran through the house, couldn’t find her, and dashed outside. She looked around the yard, and finally down the sidewalk, only to find me on my tricycle, carrying my 3 week old sister! I remember asking people at church if I could hold their babies. I’d take them for as long as they’d let me. I babysat constantly, was voted most likely to have 12 children in my seminary class, and always knew I wanted a big family. Soon, the friendship changed into a dating relationship, and we never wanted to be apart. We were married on May 18, 1989. This man, like me, wanted a big family, too! Two years later, our first child was born. We were thrilled to be parents! And the children just kept coming! Now our oldest daughter is 21, and our baby is 5! It’s strange how time flies, how a year sort of dissipates, or a child wakes up one morning and her pants are 4 inches too short! I’m really trying to do my best to be present and available for each and every moment that life brings! The older I get, the more I realize how precious and fleeting life is. I am passionate about being a wife and a mother. It’s what I always wanted to do. Ammon used to LOVE to be naked! From my favorite–NOT!–stage of potty training (you know….2ish) until around age 5, we had to have naked time off and on throughout the day. Our other children would just DIE of embarrassment when he was running/playing around the house naked, but with time, we all sort of got used to it! Plus! We found that he was happier if he could just have some time–free of clothes. Background: we live in a large cul-de-sac that has about 27 homes in it, with a large park in the middle of the circle. Most of the houses face the park, but some back up to the park. This park is the gathering place for the 97+ kids that live here, and is also one of the big reasons we bought our home. We LOVE our neighbors, and know all of them very well. We all help each other out, occasionally discipline each other’s kids, and often gather in this awesome park! I told her I would go get him. So, I quickly grabbed my shoes, opened my garage, and was getting out my bike to ride over to Ammon as quickly as possible. At that moment, I felt like everything was moving in slow motion, and now, I will describe to you what I saw from the moment I opened my garage until I reached him. There were many kids out in the park that day, but 6 or 7 boys and girls had congregated around this naked boy…..who was jumping on our neighbor’s tramp as BIG as he possibly could (FULLY NAKED)! All these neighborhood children were pointing and screaming at him–some were even jumping with him on the tramp! These kids, though screaming, somehow seemed intrigued by his display. 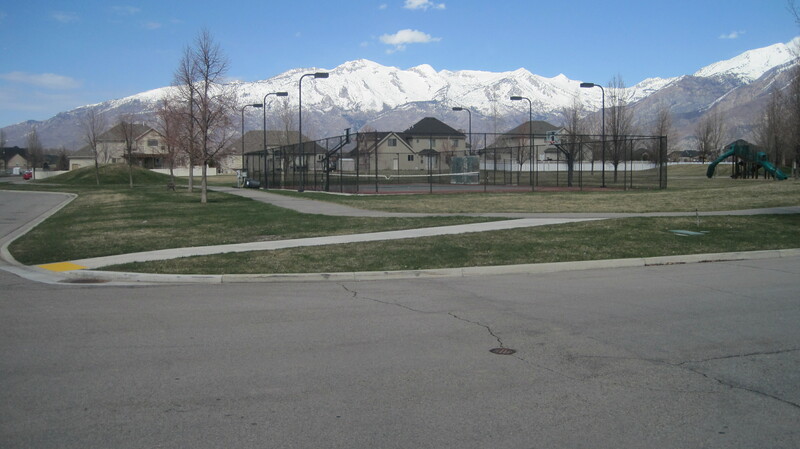 Just as I was getting on my bike, I saw Ammon go….BOUNCE, BOUNCE, BOUNCE….right off the tramp, and took off across the park. The children chased after him–like a good game of tag–still shrieking and laughing. He darted up to the top of our sledding hill, and stood, legs apart, arms in the air, like King of the Hill, and began growling and stomping around–daring anyone to try to take him down! Just then, I arrived on the scene, called Ammon down from the hill, scooped up this cute, fat, naked boy onto my bike with me. Yes, I put a naked boy on my bike–visualize THAT! I promptly rode home with Ammon, and we had a wonderful little chat about where it is appropriate to be naked, and where it is not! I’d like to introduce to you…Ammon, the 7th of 8 children, born to a mother and father, who–24 years ago, decided they wanted a very large family! His name is pronounced: Am-un….not Am-one or Ame-un. 🙂 Ammon is one incredible little boy, who has taught me more life lessons in his short 8 years than I could have ever imagined! You know how you write down the funny things your kids say or do…..occasionally??? I have pages of stories about my Ammon, and I thought they should be shared! Therefore, I choose to call this blog, “Ammon Adventures”. melindanwalk on THIS! is Ammon!